Today is Bloomsday. OK, some of you are scratching your heads and maybe even checking your calendars seeing that there is no Bloomsday referenced on the calendar page. But, nonetheless, it is Bloomsday. Bloomsday celebrates the day that "Ulysses" is set. It is also the day when the author, James Joyce, met his future wife Nora Barnacle. Now I don't know if you're a fan of Joyce or even if you have ever read the book "Ulysses", but any good excuse for a party, right? It is celebrated world-wide. So, why not take a bit of time and raise a glass to James Joyce. 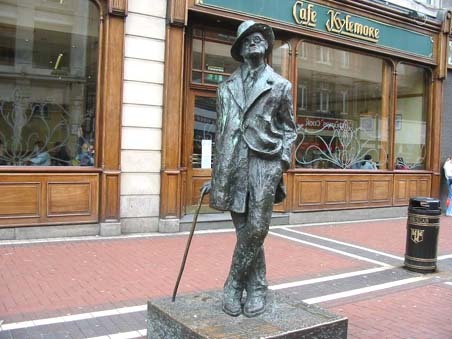 This statue of James Joyce stands in Dublin, Ireland. Why else think about James Joyce? Well, earlier this week a discussion arose about stream of consciousness writing. But here's a thought too, and one which I've read in many teachings. I paraphrase...James Joyce has a single sentence of 4000 words without any punctuation. It was written to be a stream of consciousness for the female character in Ulysses. But you (and me, of course) are no James Joyce. Use punctuation and shorter sentences. 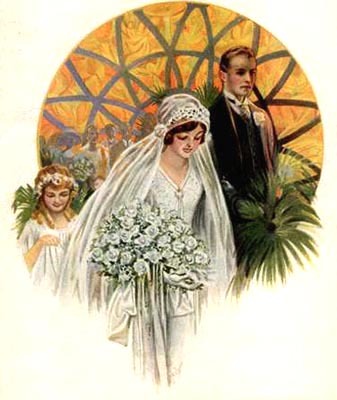 I know several people both in real life, as customers, and in cyber-friend space, who have children getting married today. So I send a targeted "blessings to you at the start of your new lives together" to each and every one of these new couples. Marriage is an amazing thing. It joins you to another individual in ways that you don't really conceive until you have signed the paper and listened to whatever words you consider appropriate. Most of all, it changes your thinking from "me, myself and I" to "we, ourselves and us". It is not easy, but nothing good ever really is. I think the rewards more than pay off, though, and hope that each of these young people, looking at their futures together with such hope, have the opportunity to live the life that they are dreaming of. Mazeltov! Current Location: Shower, breakfast, writing...all good! I am reading Ulysses right now. I don't really like his stream of consciousness, but the book is interesting.